"We are proud to support Oak Street Health in building upon what is already a well-integrated care delivery system by providing care management support"
CHICAGO & LOUISVILLE, Ky.--(BUSINESS WIRE)--Humana Medicare Advantage members in Illinois now have greater access to value-based care, thanks to an expanded partnership between Oak Street Health and health and well-being leader Humana Inc. (NYSE: HUM). The expanded arrangement, which was first announced last year, is designed to offer a more proactive and wellness-focused health care experience and financially reward doctors for high-quality care. On average, current Humana Medicare Advantage members served by providers under value-based care experienced fewer ER visits and hospital admissions, higher screening rates, including those for colorectal cancer (+7 percent) and breast cancer (+6 percent), and healthier outcomes versus members who were treated by providers in standard Medicare Advantage settings. The expanded partnership gives Humana’s Medicare Advantage members access to Oak Street Health’s six new patient care centers, for a total of 15 centers throughout Chicagoland, Northwest Indiana, Indianapolis and Rockford, Ill. Oak Street Health patients’ visits are more than twice as long as the average doctor visit, with prevention and early intervention being the cornerstones of its care model. Oak Street Health operates a network of primary care facilities in Illinois and Indiana focusing on older adults receiving Medicare benefits. Oak Street care teams consist of a physician, nurse practitioner, registered nurse, medical assistant, care manager, and clinical informatics specialist. Team members have explicit roles during and between visits, and teams have structured daily communication to help ensure the best possible care every step of the way. Value-based care represents a significant shift from the historic model of health care known as fee-for-service, which focuses on the costly treatment of sickness instead of disease prevention and keeping people in good health. In the fee-for-service model, physicians are paid and incentivized based on volume (number of services they perform), not improved health outcomes for the patient. By contrast, transitioning to value-based payment models means that physicians are reimbursed for the health outcomes of the patients they serve, not the number of services they provide. By focusing on quality and health, Humana experienced 18 percent lower costs in total in 2014 for members who were treated by providers in a value-based reimbursement model setting versus original fee-for-service Medicare. For doctors thinking about entering into a value-based care agreement, many cite having adequate resources and support as key barriers to adopting this new model. 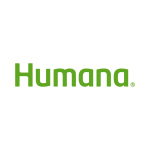 By partnering with Humana, providers have access to a number of different services to help support their transition to value-based care. As part of the agreement, Oak Street Health and Humana will continue focusing on strategies that improve the health of Humana’s Medicare Advantage members in Illinois and Indiana, lower costs, and manage the ongoing health needs of the population. Oak Street Health will utilize Humana’s population health management tool to help identify gaps in care, manage medication adherence, follow up on patients needing PCP visits, and identifying high ER utilizers and at-risk patients so they can receive the right care before requiring serious medical attention. Patients will also benefit from wellness programs and improved screening and monitoring for chronic conditions such as diabetes and heart disease. Oak Street Health is a network of primary-care centers for people on Medicare with an innovative model of care focused on keeping our patients healthy and out of the hospital. We build relationships between our patients and their doctors and care teams, and we invest in giving our patients better access to care. Our patients enjoy the benefits of personal managed care, transportation, and daily programming in our community rooms. Oak Street Health has 15 locations in Illinois and Indiana. More information about Oak Street Health can be found at www.oakstreethealth.com.